The U.S. Secret Service has issued a warning that criminal gangs that deploy stolen credit and debit cards are increasingly hedging their chances of getting caught carrying multiple counterfeit cards by relying on Fuze Cards, a FinTech that allows users to store dozens of cards on a single device. A Fuze card can store up to 30 credit/debit cards. 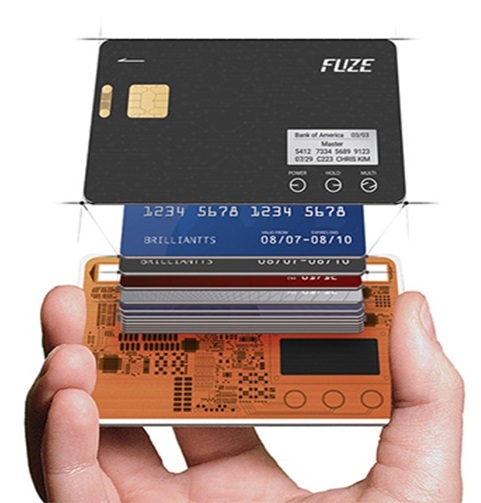 Launched in May 2017, the Fuze Card is a data storage device that looks like a regular credit card but can hold account data for up to 30 credit cards – according to Krebs Online. The Fuze Card displays no credit card number on either side, instead relying on a small display screen on the front that cardholders can use to change which stored card is to be used to complete a transaction. No doubt, fraudsters engaged in money laundering via virtual currencies like bitcoin will be doubly interested in Fuze Cards in the coming months. Fuze Card says that later this year it plans to launch FuzeX, which contains the same amenities of the Fuze Card and will allow users to conduct purchases using virtual currencies. The post Criminal gangs using FinTech Fuze to store multiple stolen card credentials appeared first on Payments Cards & Mobile.